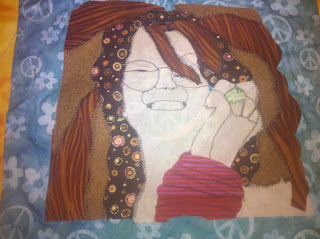 Top is complete, I just started hand quilting it. My mom introduced me to the music of Janis Joplin when I was really small, and I still love her music today! 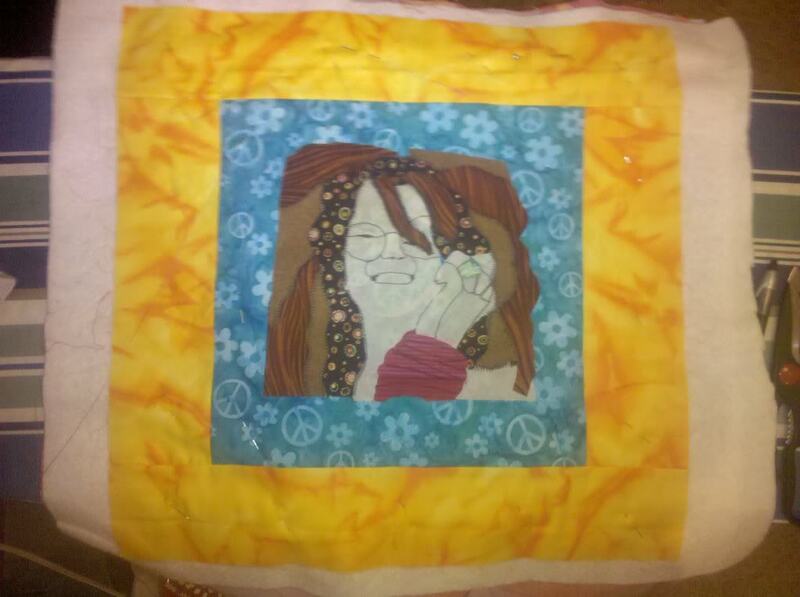 I plan on hand quilting it with titles of her songs. It's sandwiched, pinned and ready for hand quilting. Hopefully I finish the entire thing by the end of the summer. 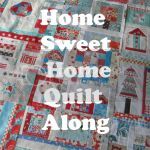 Maybe when I have a bit more time I'll just hand quilt it.